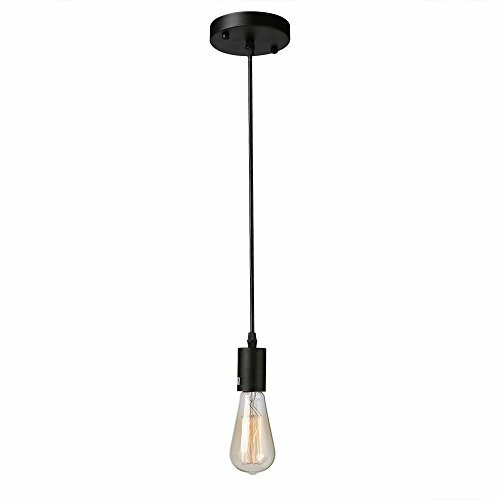 This simple pendant is comprised of a clean and sleek black socket, it is perfect for displaying a decorative Edison bulb. With a maximum drop of 39.4" this pendant can be adjustable for different ceiling heights. Notices:WE SUGGEST LIGHT INSTALLATION IS DONE BY A LICENSED ELECTRICIAN. If you have any questions about this product by LNC, contact us by completing and submitting the form below. If you are looking for a specif part number, please include it with your message.